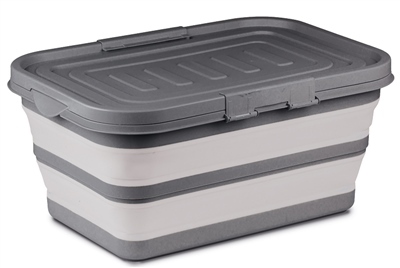 Perfect for camping, caravanning or in the motorhome this collapsible storage box makes life so much easier by been able to collapse then put into any cupboard for even more space saving. Lightweight and space saving with this fantastic new range from Kampa. The Kampa Storage Box folds flat when not in use and opens and folds in seconds, and is easy to clean. This box comes with a lid.